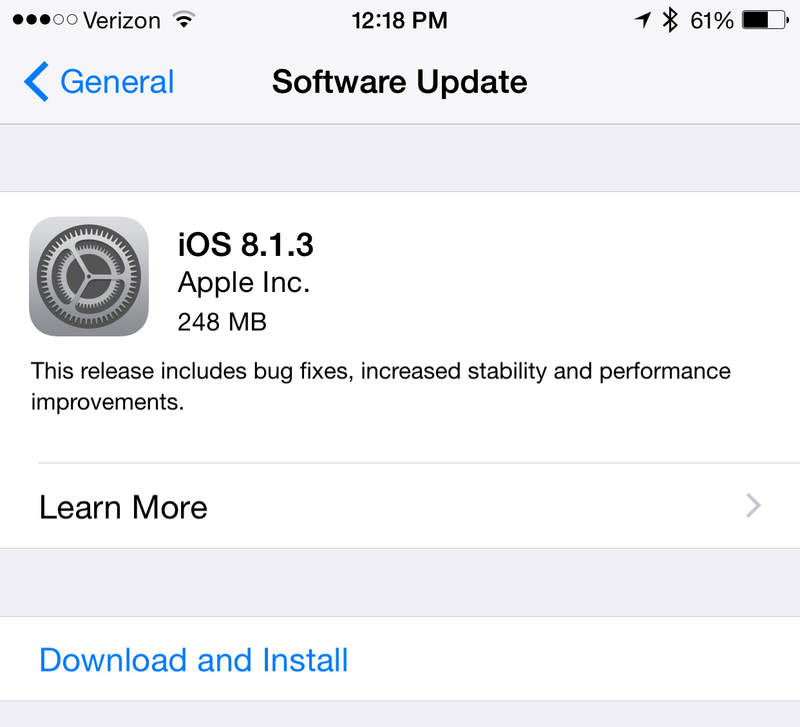 Apple has just released iOS 8.1.3 to the general public. It can be downloaded now over-the-air or through iTunes. The storage size fix could be significant. The slower-than-expected adoption of iOS 8 is partially blamed on the large amount of free space required on a device to complete an over-the-air upgrade from iOS 7. We’ll let you know if we spot any other changes in the software. This version is considered minor and wasn’t seeded to developers before its release. The next major software version, iOS 8.2, will bring compatibility with the upcoming Apple Watch. For other news today, see: Cupertino needs to do more than simply add new channels to the Apple TV, Twitter rolls out new group messaging and native video sharing features, and Electronic Arts’ Real Racing 3 updated with Spada supercars and more. Which Kickstarter projects have clicked with backers?